The Cedar Back Seat option is as simple as it gets. 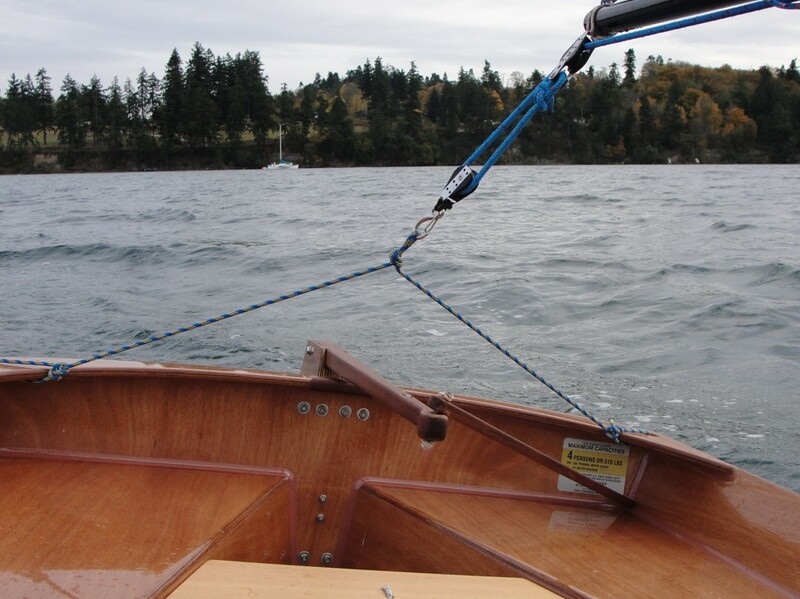 It is both tethered to the boat and held in place by the same bungee cord. The builder has to sand and oil or varnish the seat and install the carbon, glue-on eye-strap and bungee. The cleats for the seat to rest on are part of the basic PT11 kit. 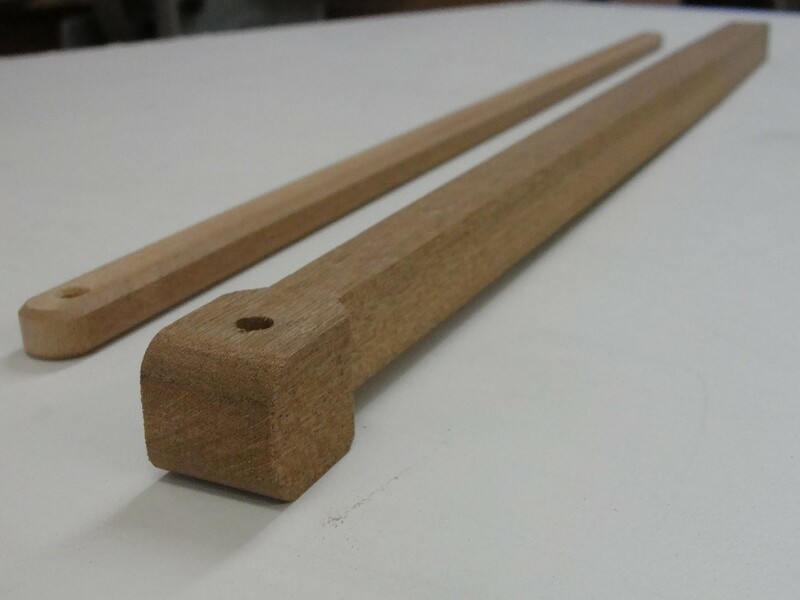 Our tiller and hiking stick stock is made of Sapele. 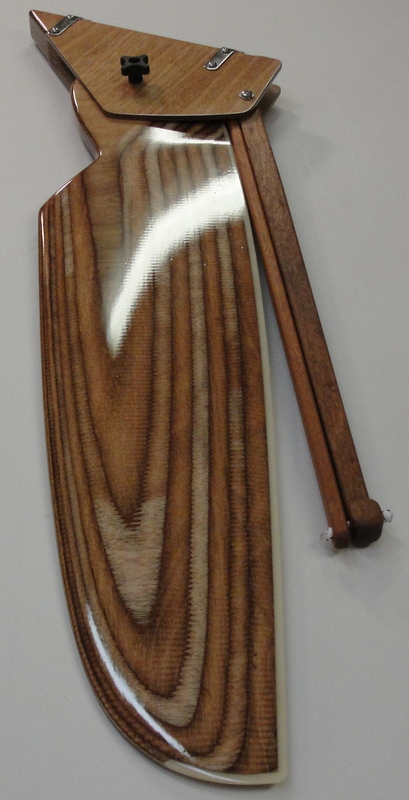 The tiller is tapered on 3 sides, shaped at both ends and drilled. 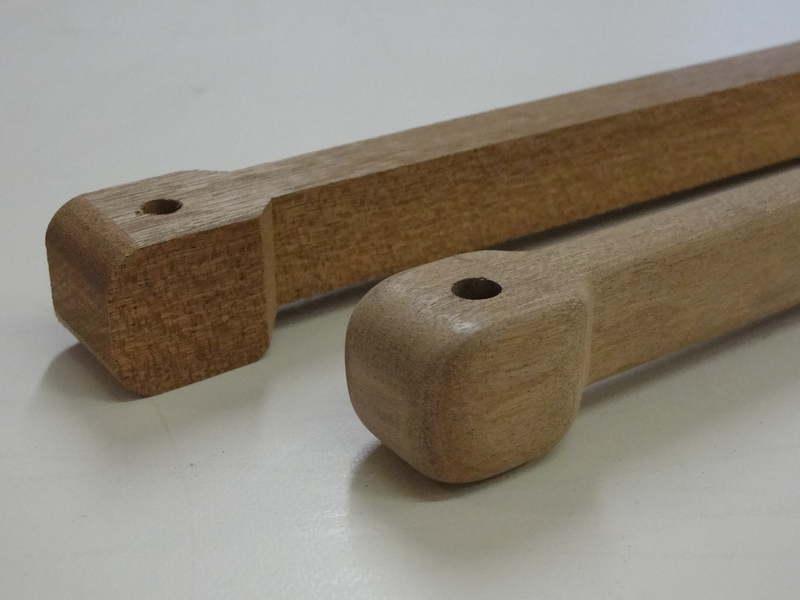 The hiking stick has rounded ends, chamfered edges and drilled for attachment. The builder finishes the tiller (on the right) by rounding the edges, hand sanding and oiling. The length of the hiking stick is just right to fit in the corner of the transom of the PT Eleven, for hands free steering when needed. It also folds and stows well. 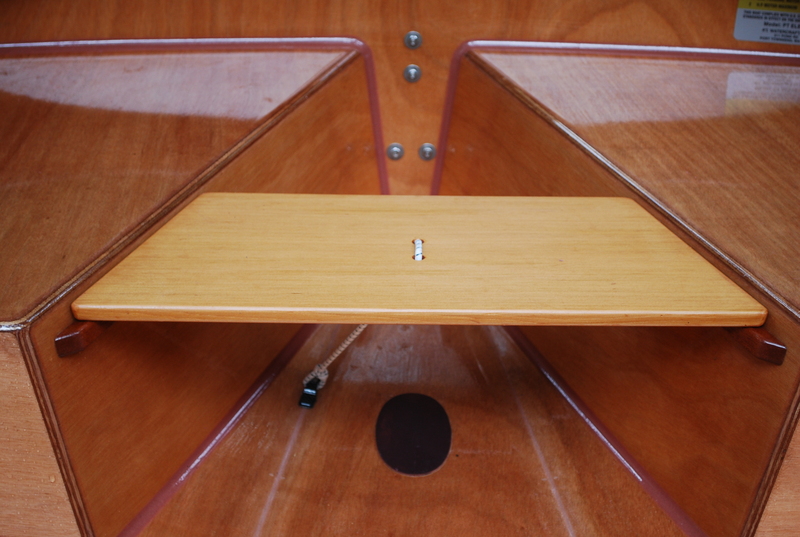 Tapering the tiller requires a router jig and so we offer this kit with most of the job done for you. 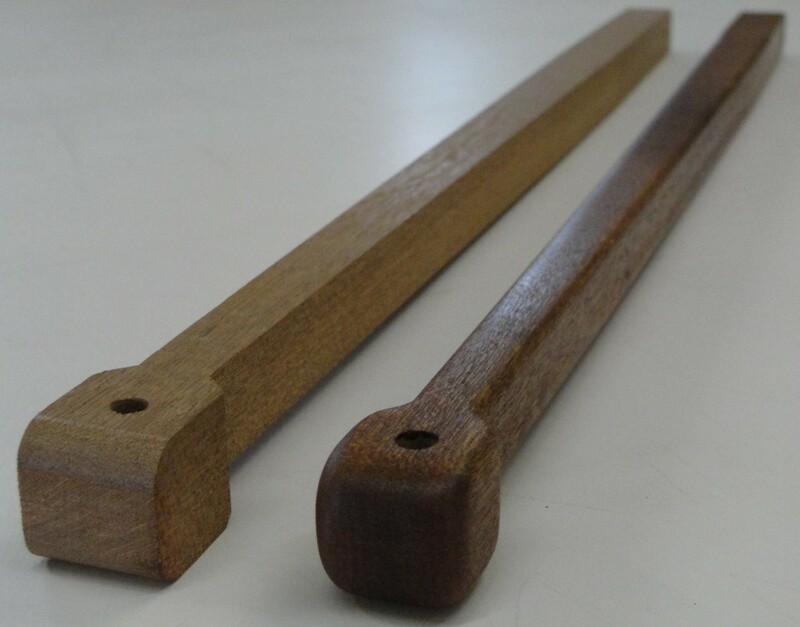 We also offer untapered, 1" tiller stock, for the builder's who wish to shape their own. See the OPTIONS PAGE or the ORDER FORM on our website for prices.